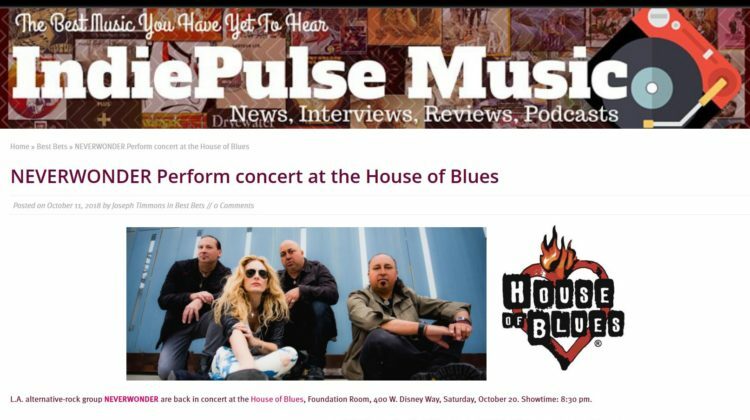 IndiePulse Magazine _ by Joseph Timmons _ L.A. alternative-rock group NEVERWONDER are back in concert at the House of Blues, Foundation Room, 400 W. Disney Way, Saturday, October 20. Showtime: 8:30 pm. 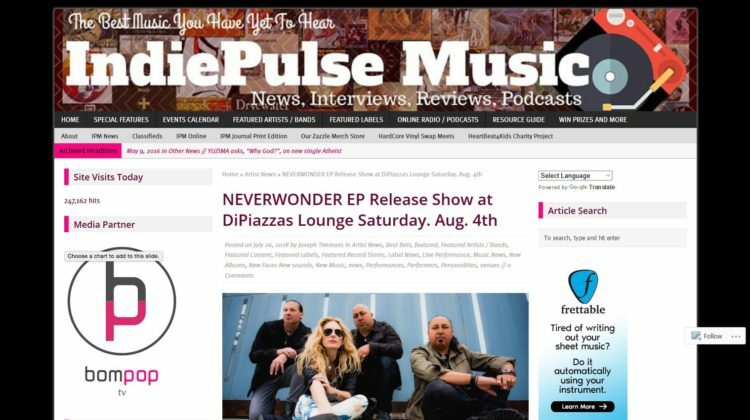 IndiePulse Magazine _ by Joseph Timmons _ L.A. alternative-rock group NEVERWONDER celebrate their long-anticipated new album with an EP Release Show at DiPiazza’s Lounge, 5205 E. Pacific Coast Highway, Saturday, August 4th. We’re back! 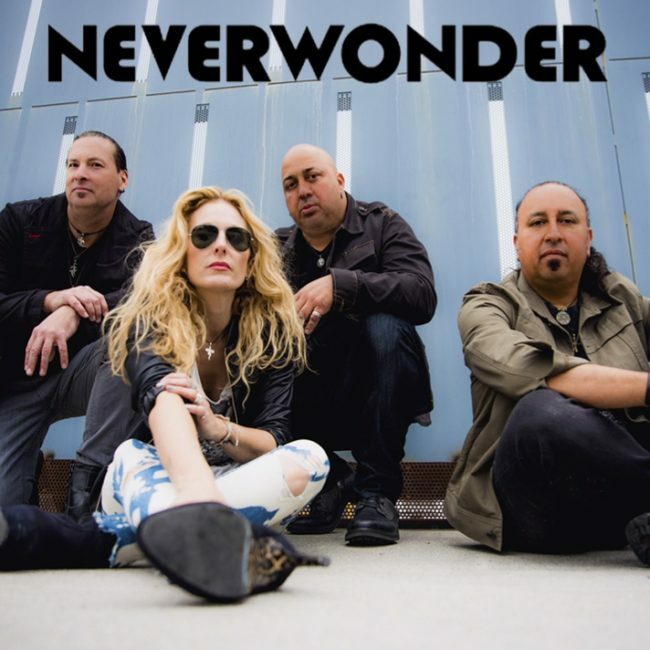 Neverwonder’s Launch Event / EP Release Party is scheduled for Saturday, June 16, 2018 at Molly Malone’s Get all the info here. Published 01 JUN 2018.